Set against the backdrop of 19th-century France, Les Misérables tells an enthralling story of broken dreams and unrequited love, passion, sacrifice and redemption – a timeless testament to the survival of the human spirit. Ex-convict Jean Valjean is hunted for decades by the ruthless policeman Javert after he breaks parole. 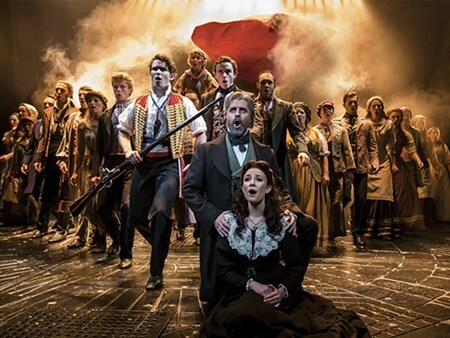 When Valjean agrees to care for factory worker Fantine’s young daughter, Cosette, their lives change forever. Featuring the songs “I Dreamed A Dream”, “Bring Him Home”, “One Day More” and “On My Own” – Les Misérables is the show of shows! Can't find your favourite Les Misérables package?